Audi's MK5 model A4 is at its most accessible in 1.4-litre TFSI petrol guise. Car & Driving's experts take a look. 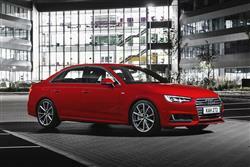 Almost all Audi A4 buyers opt for a 2.0-litre TDI diesel. For well over £2,000 less though, there's the option of this 1.4-litre TFSI petrol model that develops the same 150PS output and still manages to return over 50mpg on the combined cycle and under 130g/km of CO2 running on cheaper green pump fuel. Is it a better bet? If you're after a compact executive saloon - say a BMW 3 Series, a Mercedes C-Class or, as in this case, an Audi A4 - you opt for a diesel. It's a given isn't it? Well not necessarily. 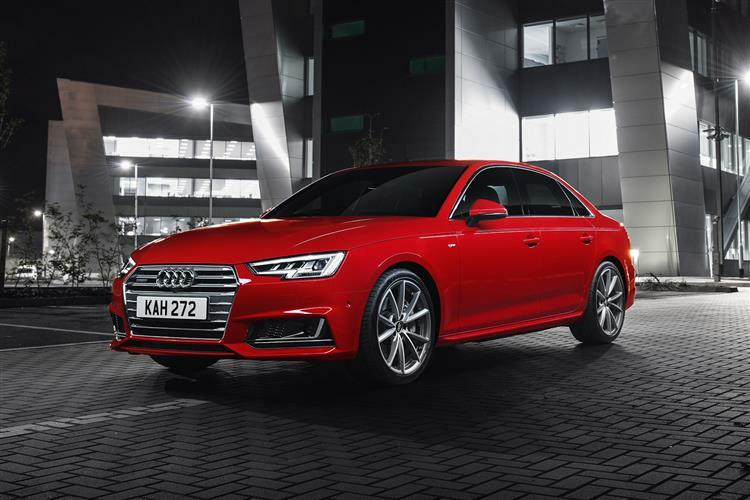 In launching its fifth generation A4 range, Audi has placed renewed emphasis on petrol power, including within the line-up a 2.0-litre TFSI 190PS petrol engine that offers an astonishing balance between power and frugality. And, slotting in just below that unit, there's the powerplant we're going to look at here, the 1.4-litre TFSI variant. Buyers in this segment aren't used to seeing engines with capacities this small, but this TFSI unit seems to punch above its weight, offering 150PS, the same as you'd get from the volume 2.0-litre TDI diesel. Is it a realistic option? Let's find out. Audi has managed to shed around 120kg of weight from this fifth generation A4 and that's one of the reasons why even this base model feels quite lively. The turbocharged 1.4-litre 150PS engine can accelerate to 62mph in 8.7 seconds - which is quicker than the old 1.8-litre version it replaces. Top speed remains 130mph, in line with its nearest rivals. With this 1.4-litre model, you don't get the options you would further up the range of s tronic 7-speed auto transmission or quattro 4WD. Still, the improved six-speed manual stick-shift feels quite slick and the hi-tech MLB Evo chassis has given Audi the opportunity to develop a sophisticated fully-independent five-link front and rear suspension arrangement that delivers superb standards of ride. Ultimately, what all this creates is a more comfort-orientated compact executive contender, but it's still one that can be hurried quite quickly through the bends thanks to very little bodyroll and superb traction. The overall shape of the A4 may be familiar, but the details of this MK5 model have been sharpened up and brought in line with the latest trends. Outside, the bodywork has a sharper, more gym-toned feel and most variants feature LED lighting, with the option of Audi's clever Matrix lighting system that adapts to the road you're on. The interior is spacious and elegant, with a slim horizontal dashboard hosting the main cockpit controls. The deeply sculpted rear seats give back seat passengers ample knee-room, with only the middle passenger being inconvenienced by the high transmission tunnel. The 1.4-litre engine is also available in Avant estate form, but the saloon may well be versatile enough for you. The rear seats can fold down, creating 965-litres of luggage space. 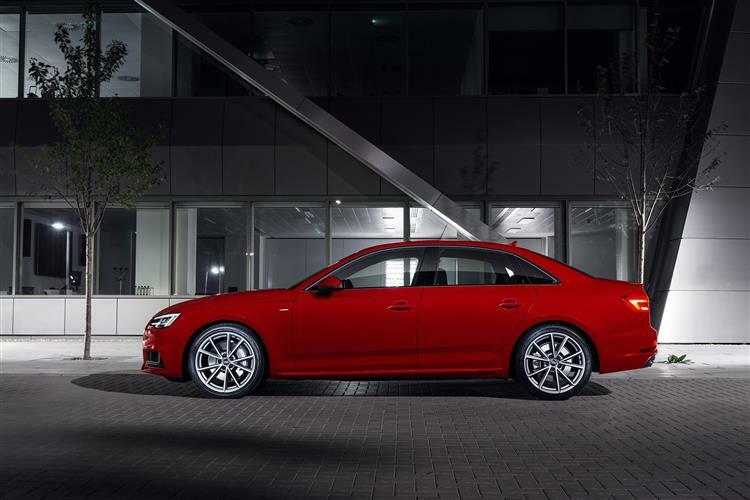 The fresh looks and well appointed interior uphold the sense of prestige that Audi's well-earned reputation deserves. As one of the VW group's luxury brands Audi has become renowned for excellent build quality. Even at the lower price points their cars are manufactured to strict German standards, eliminating faults at the production stage ensuring that this entry-level A4 will still be capable of racking-up the high mileages their buyers will expect of them. 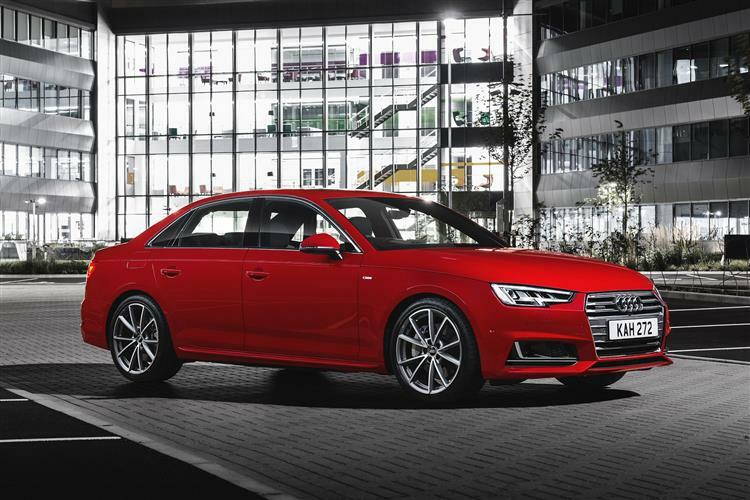 The £26,000 price point makes the Audi A4 1.4 TFSI an interesting proposition. You're looking at a £2,200 saving on the equivalent 150PS 2.0 TDI diesel version. We'd also though, want to look at find a couple of thousand extra for the 190PS 2.0 TFSI petrol model which offers a lot more performance with no real efficiency downside. If you want the Avant estate bodystyle, there's a £1,400 premium over the saloon. In terms of direct rivals to this A4 1.4 TFSI model, BMW's 318i is the obvious candidate but Audi may just have priced this car low enough to tempt buyers out of more mainstream cars like the Vauxhall Insignia and Ford Mondeo. 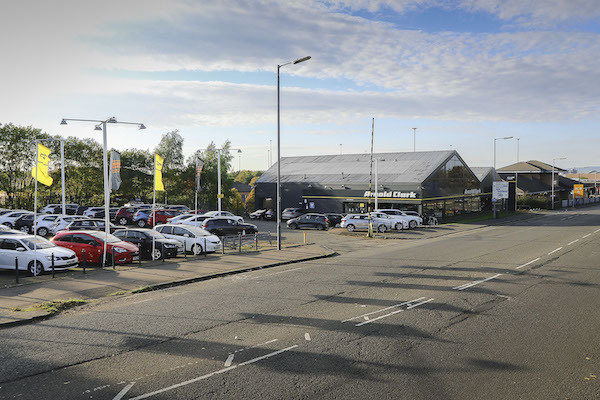 Standard equipment includes alloy wheels of at least 17-inches in size, Xenon headlights with LED daytime running lights, acoustic glazing, auto headlamps and wipers, rear parking sensors, an alarm and a chromed exhaust. Thankfully a spare wheel's provided too, rather than one of those irritating tyre repair kits. Inside, there's 3-zone climate control, a 'keyless go' push button starter, cruise control with a speed limiter, an auto-dimming rear view mirror and the 'drive select' system that allows you to tweak throttle and steering to suit the way you want to drive. We've mentioned the Turbo part of the TFSI moniker, but the 'FSI' part plays a big role in making this 1.4-litre engine so efficient. 'Fuel Stratified Injection' means the optimum amount of petrol is directly injected into the engine cylinders at the critical moment instead of being mixed with air in a carburettor and sucked in as part of the normal combustion cycle. The effect of this, in tandem with the turbocharger's recycling of exhaust gases, means this engine can deliver the same performance as a standard powerplant but in doing so, use 10-15% less fuel. As a result, the A4 1.4 TFSI can return just over 53mpg on the combined cycle. 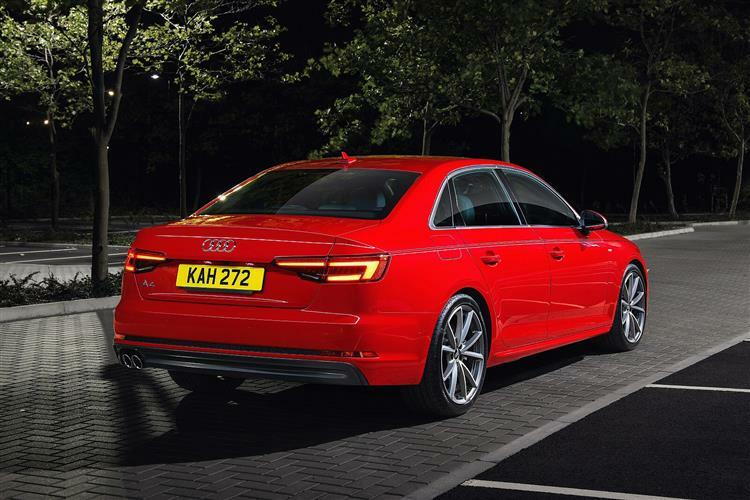 With CO2 emissions of 126g/km, annual tax will be £110 or for those who choose the A4 as a company car, it will have a Benefit-In-Kind (BIK) rate of 20%. 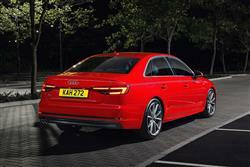 In comparison, an A4 2.0 TDI 150PS ultra model manages 74.3mpg and 99g/km. All A4s come with a three year 60,000 mile warranty which can be extended to four years/75,000 miles or five years/90,000 miles for a fee. Audi residuals are some of the best in the business, assuming you pick a desirable engine and trim combination. Some restraint on the all too tempting options list will help too. 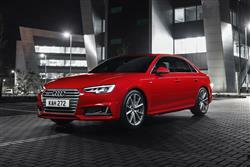 The Audi A4 1.4 TFSI 150PS is more affordable than you might expect a premium compact executive saloon to be. Costing around £26,000, it may even be an attractive proposition for Mondeo segment buyers. Loaded with advanced technology including autonomous driving aids and a smartphone-compatible multi-media interface, the entry level A4 represents good value for money. And the modern, understated exterior is matched with a comfortable, contemporary interior, designed to make the time spent on the road more enjoyable. But does the package all add up? We're not so sure. It's not that there's anything wrong with this 1.4-litre petrol variant: it's just that the models above it in the line-up are so impressive. The 2.0 TDI ultra diesel version with its 99g/km of CO2 emissions. Or the 190PS 2.0 TFSI petrol variant that's just as frugal, yet much more powerful. Frankly, we'd be wanting to stretch our budget a little further and buy into the A4 in these guises. Still, if you're restricted in budget and this 1.4-litre TFSI has to fit the bill, you're unlikely to be disappointed.